It’s been 17 years since the first Kingdom Hearts launched on PlayStation 2 in 2002. That now classic action role-playing game (RPG) introduced players to Sora, a young boy who goes on an epic adventure with Disney’s Donald Duck and Goofy to defeat a villain named Ansem and creatures called the Heartless. Skip forward to 2019, and the Kingdom Hearts franchise has exploded into a video game phenomenon with more than 10 games across a variety of platforms. The most recent title in the series, Kingdom Hearts 3, is available to play on Xbox One and PlayStation 4. Kingdom Hearts 3 is an action RPG that follows Sora, Donald, and Goofy on another grand adventure, with the storyline picking up where previous installments left off. Like other games in the franchise, the main portion of Kingdom Hearts 3 will see players travel from world to world across a large in-game universe to interact with characters from numerous Disney and Disney Pixar films, as well as those that are original to the franchise. 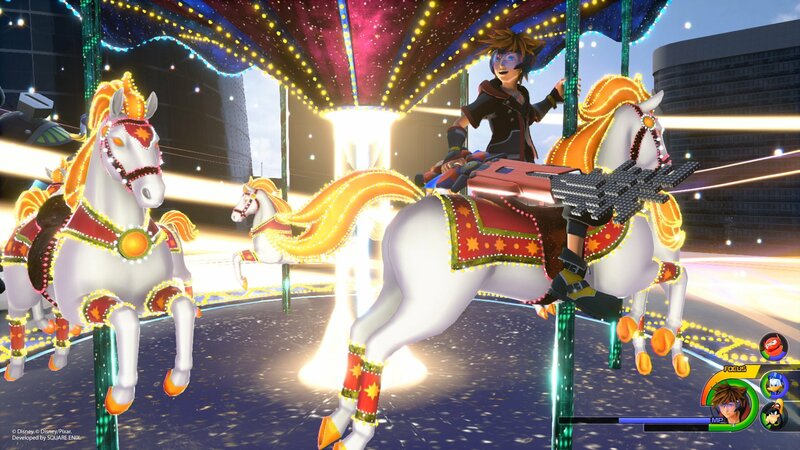 While some of the worlds have been found in previous games (like Olympus from Hercules and the 100 Acre Wood), many (like Frozen’s Arendelle and Toy Story’s Toy Box) are making their first appearance in Kingdom Hearts 3. Each world has its own unique storyline to experience. Most (but not all) will see Sora, Donald, and Goofy team up with the world’s heroes (for instance, Sully and Mike in Monstropolis, which is based on Monsters, Inc.) to defeat Heartless, boss characters, and other enemies, with the goal of resolving the world’s conflict. Along the way, the game continues the franchise’s overarching storyline, which deals with stopping a group of villains from taking over the universe using the power of darkness. Most worlds are split into numerous areas, each filled with a variety of Heartless (the enemies in Kingdom Hearts games) and other enemy types that will appear as Sora and the gang progress. Players can take out enemies using a large combination of physical and magical attacks. At its most basic level, combat allows players to run into a group of enemies and mash the attack button until everything is defeated. This makes it great for younger players who are either a bit too young to understand the battle system’s greater complexity, or who simply don’t care for a complicated experience. At the same time, more experienced players, or those looking for more gameplay variety, have access to a multitude of abilities which they can use to dispatch foes. Players can team up with Donald and Goofy to perform combo attacks, transform Sora’s Keyblade weapon to temporarily unlock new abilities, and even summon theme park attractions like a pirate ship and carousel to deal with large groups of enemies at once. The variety here is great, as it lets each player customize their experience to suit their play style. However, with so much going on (both in terms of abilities to remember and actual elements on the screen), battles can feel chaotic and overwhelming until players become accustomed to the setup. As players progress, Sora and the gang will level up to become stronger. Players can also collect items while playing that they can use to craft new items, as well as upgrade Sora’s many Keyblade weapons. Finally, players can take pictures of hidden Mickey symbols called Lucky Emblems, as well as find and open dozens of treasure chests to earn free goodies. These features add longevity to the experience, which already provides dozens of hours of gameplay. Do my kids need to play previous games in the franchise before trying Kingdom Hearts 3? Yes and no. Since most worlds have isolated storylines, even newcomers can have fun seeing each one to completion along with Sora and his friends. 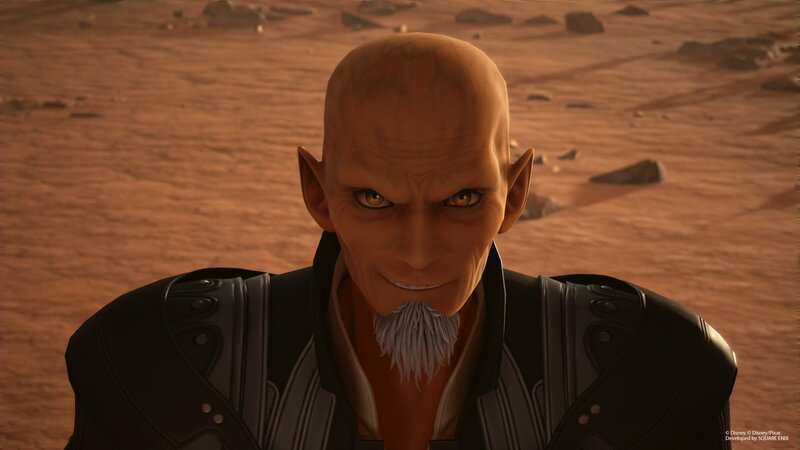 However, the broader storyline in the Kingdom Hearts franchise is convoluted and sometimes difficult to follow, even for longtime fans of the franchise. (We talk about that in our Kingdom Hearts 3 introductory guide.) The game does a decent job of reminding players of past events so they stay on track, but if someone comes in with no previous experience with the franchise, it would be easy to become confused. Kingdom Hearts 3 is a much, much easier game than its two numbered predecessors. While enemies will become beefier and stronger over time, with more health to whittle down before they’re defeated, most players should be able to make steady progress so long as they keep half an eye on Sora’s health bar and heal when necessary (using either healing items or Sora’s healing spell). The game throws a lot at players as they make their way through the adventure. On top of the complicated storyline, new abilities and mini-games are frequently introduced alongside text tutorials that are sometimes vague. Players will need to be adept readers to follow along with these tutorials, or have someone in the room who can help them understand what’s going on. Thankfully, the game’s cutscenes (and there are many of them) are fully voiced, so even younger players, who may not be ready for the game’s complicated combat system, can enjoy watching the game unfold like they’re watching a Disney film. As players finish the story in each world, they’ll need to fly a ship to the next world on the in-game map (once players travel to a world the first time, they can fast travel there in the future). 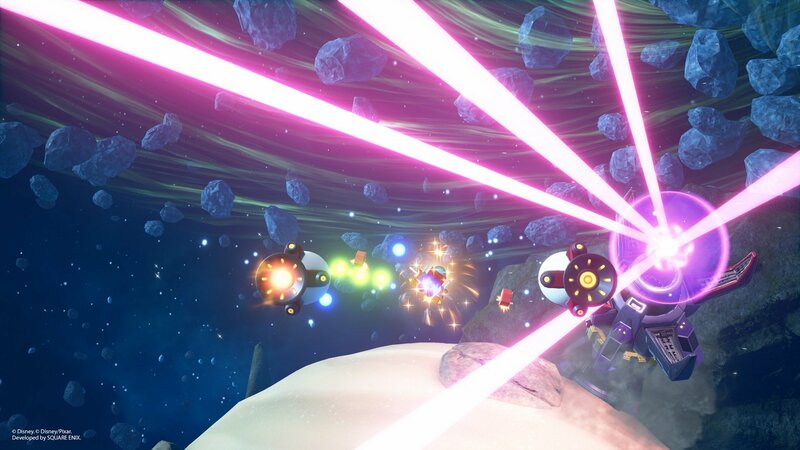 This “outer space” area has a lot going on, with items to collect, obstacles to avoid, enemies to battle, and more. It’s not the game’s best feature, but players can choose to mostly ignore it and make a beeline to the next world if they choose. Finally, while the game is heavily focused on combat and defeating enemies of all shapes and sizes, it isn’t graphic. There’s no blood or gore at all -- enemies simply disappear when defeated, leaving no trace behind. The storyline also focuses heavily on the power of friendship and love, which balances out the villains’ negativity. 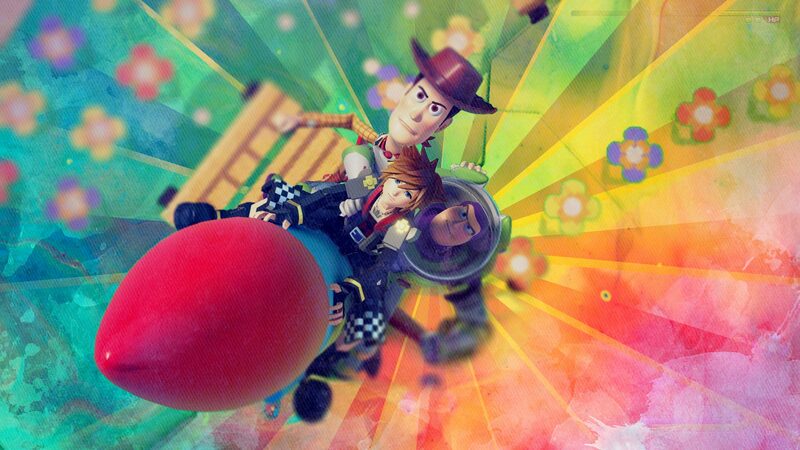 Kingdom Hearts 3 is a grand adventure that’s a lot of fun to play. Some of the game’s systems may be too difficult for the youngest players to understand, but whether your littles play on their own, or watch as someone else plays, the game’s ample cutscenes, gorgeous graphics, and excellent voice work make it just as fun to watch as it is to play. Disclosure: Square Enix provided a copy of Kingdom Hearts 3 to SuperParent for this review.